Today is Wednesday, December 14, the 349th day of 2016, with 17 days remaining. There are seven days until the winter solstice, nine days until Festivus, ten days until the start of Hanukkah, 11 days until Christmas Day, 37 days until Donald Trump becomes president of the United States, and 692 days until the November, 2018 mid-term election. 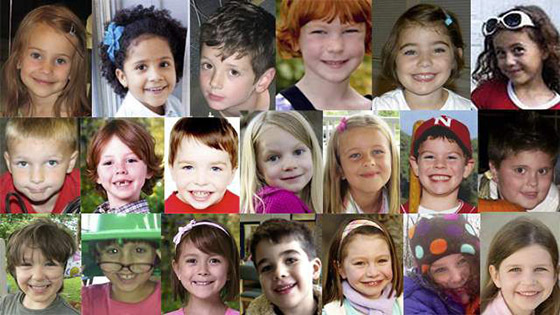 On this day in 2012, The Sandy Hook Elementary School shooting occurred in Newtown, Connecticut, when 20-year-old Adam Lanza fatally shot 20 children between six and seven years old, as well as six adult staff members. Prior to driving to the school, Lanza shot and killed his mother at their Newtown home. As first responders arrived at the scene, Lanza committed suicide by shooting himself in the head. The incident was the deadliest mass shooting at a high school or grade school in U.S. history and the third-deadliest mass shooting by a single person in U.S. history. The shooting prompted renewed debate about gun control in the United States, including proposals for making the background-check system universal, and for new federal and state gun legislation banning the sale and manufacture of certain types of semi-automatic firearms and magazines with more than ten rounds of ammunition. A November 2013 report issued by the Connecticut State Attorney's office concluded that Lanza acted alone and planned his actions, but no evidence collected provided any indication as to why he did so, or why he targeted the school. Legislation introduced in the first session of 113th Congress included the Assault Weapons Ban of 2013 and the Manchin-Toomey Amendment to expand background checks on gun purchases. Both were defeated in the Senate on April 17, 2013. Some conspiracy theorists question the circumstances of the shooting, whether Adam Lanza was the sole perpetrator, and are using early media reports that included inconsistencies about the identity of the shooter, wrong photos, incorrect location of victims, and weapons used as evidence for their claims. Others have suggested the shooting was orchestrated by government officials for political reasons, similar to some 9/11 conspiracy theories, claiming that the shooting was deliberately set up to push stricter gun control laws. These conspiracy theories have been described by mainstream news sources as contradictory, implausible, without evidence, and offensive to those affected. Several sources also published articles debunking various claims put forward by conspiracy theorists. Among other things, today is Monkey Day. The true origins of Monkey Day are deeply shrouded in mystery. Some say that the Monkey Day movement began as a tool to further the awareness of simian species and habitats. Others say that Monkey Day began as a scientific backlash to all of the religious holidays permeating the month of December, an evolutionary finger to the creationist holidays. Still others say that the concept for Monkey Day was brought on by the drunken debauchery of several young hooligans with a special affinity for monkeys, spending the first Monkey Day tauting their simian virtues and screaming obscenities at the local pub. Whatever the conception, Monkey Day has certainly evolved beyond any simple beginnings into a greater movement. 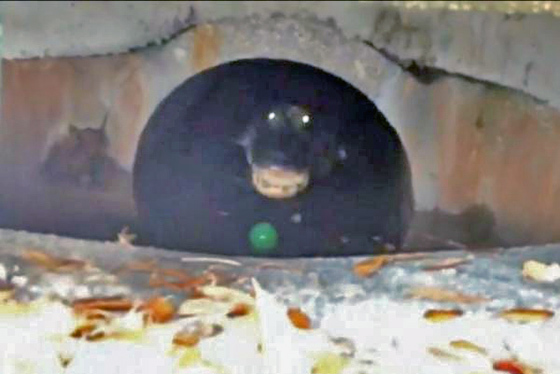 Florida man finds alligator watching him from storm drain. As of this writing, The KGB Quotations Database contains 43,069 entries. Check it out. Quote of the day: "Just because you have stopped sinking doesn't mean you're not still underwater." Why some people think a typo cost Clinton the election... A misleading email from a campaign staffer was just one mistake that helped Russian hackers steal data from Democrats. When even Frosted Flakes are political, where does that leave us as a country? Last week, the cereal company Kellogg announced that it would cease advertising on right-leaning news site Breitbart. The site 'did not align with our values,' Kellogg’s said. A responding Breitbart statement called the decision 'as un-American as it gets' and demanded a boycott. In a flash, Frosted Flakes became a 'liberal' breakfast, and pantries became battlegrounds. Bonus Florida story: Police in Manatee, FL, say a man claiming he'd been a dentist in South Carolina was performing tooth extractions, giving dental exams, and making dentures out of his home or patients' homes. It's a good idea to be suspicious of dentists who make house calls. "Like another famous American election scandal, it started with a break-in at the D.N.C. The first time, 44 years ago at the committee’s old offices in the Watergate complex, the burglars planted listening devices and jimmied a filing cabinet. This time, the burglary was conducted from afar, directed by the Kremlin, with spear-phishing emails and zeros and ones." The Perfect Weapon: How Russian Cyberpower Invaded the U.S.
Rick Perry, Trump’s pick for energy secretary, sits on the board of the company building the Dakota Access Pipeline. Trump famously said of Perry, "He put on glasses so people will think he's smart. And it just doesn't work, you know, people can see through the glasses." The Energy Department is the third agency Perry would have said he would eliminate- if he could have remembered it during one of the many Republican debates.